Once an easement has been recorded, the Virginia Department of Historic Resources (DHR) has a responsibility to monitor the easement property. Easement staff monitors each easement property on a regular basis to ensure compliance with the terms of the easement and preservation of the conservation values for which the property was protected. Monitoring is conducted through official correspondence, direct communication with property owners, and site visits. In general, DHR’s goal is to maintain regular contact with property owners and conduct a full physical inspection at least once a year or more often if necessary. 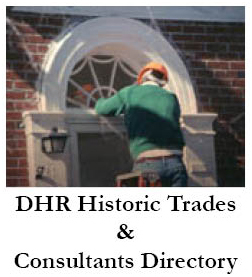 DHR also provides technical assistance and information to property owners, to assist in the appropriate treatment of historic resources and in an effort to foster an ongoing partnership. This contact may be in the form of newsletters, site visits, or other forms and questionnaires to facilitate the sharing of information between the Department and the property owner. Please review the following questions and answers to learn more about Easement Stewardship. How do I know if a property is protected by an historic preservation easement? Conducting a title search at the local lands records office will help you determine if the property is protected by an historic preservation easement. All easements held by the Virginia Board of Historic Resources are recorded with the land records of the city or county in which the parcel of land subject to the easement is located. DHR also regularly notifies city and county tax assessors and planning and zoning offices of its easements. The Virginia Department of Conservation and Recreation (DCR) also maintains a Conserved Lands Database of all easements held by various land trusts and agencies in Virginia, which can be found by following this link. What is the difference between the Virginia Board of Historic Resources (“Board”) and the Virginia Department of Historic Resources (“DHR”)? 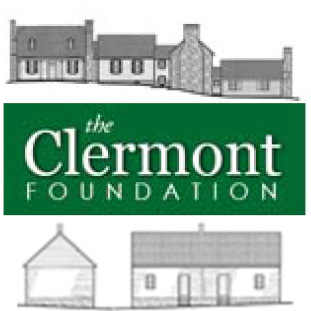 The Board is authorized by statute to hold easements to protect historic resources throughout the Commonwealth. DHR administers those easements on behalf of the Board. Who is the DHR Easement Staff? DHR’s Easement Program currently contains the following staff members: Easement Program Manager, Easement Program Coordinator, Easement Program Archaeologist, Easement Program Architect, and Easement Program Stewardship Counsel. Easement staff also works closely with student interns during the spring and summer months. See this PDF for Easement Program staff contact information. Where do I find the Restrictions in an Easement Deed? DHR recommends that a potential buyer of an easement property carefully read through the easement document with his or her attorney. For DHR easements, the restrictions are generally found in the numbered paragraphs located in the second half of the document. Please contact DHR easement staff if you have any questions about the meaning or intent of the language. What steps do I need to take to obtain permission to complete a project that requires “prior written review and approval” under the terms of the Easement? Project review occurs on a daily basis within the DHR easement program. Property owners generally contact DHR easement staff to request review of proposed improvements to their easement property and complete a brief form known as the Project Review Request Form. The content of such proposals and application forms vary widely from replacement of existing building elements to additions and new construction. Each easement document contains information addressing improvements or modifications specific to the property it covers. Staff decisions are guided by (i) the terms of the individual easement as well as (ii) by The Secretary of the Interior’s Standards for the Treatment of Historic Properties. All proposed work must be consistent with these aspects in order to receive written approval. The length of the review time depends on the nature and scope of the project. Each easement project review request is assigned to an individual staff member, most often the Easement Program Architect or Easement Program Archaeologist, for review. The staff member will remain in direct contact with the landowner about the status of the project. Less complex projects are usually turned over in one to two weeks. Many of DHR’s easements require the Department to issue a response to the landowner within thirty days. What is the difference between project review at the state and local levels? Keep in mind that approval per the terms of the easement will be different from that required at the local level. It is important to note that these are distinctly different processes. DHR easement staff works diligently with local municipalities to coordinate our comments in the interest of efficiency and consistency. Ultimately, it is the responsibility of the easement property owner to initiate any required levels of review. Historic District Review occurs at the local level. This is typically conducted by an appointed committee empowered by a local ordinance to maintain the architectural and historic integrity of the physical fabric of a specific district. Such committees rely upon established design guidelines as the basis for individual project review. Review is limited to exterior changes, often including site work and landscaping. The successful project proposal receives a Certificate of Appropriateness (or a similar document) as part of the local permitting process. Easement Program Review occurs at the state level for those properties subject to an easement held by DHR. It is conducted by Easement Program staff at DHR. Change is inevitable. No property is static. DHR easements guarantee that changes are carefully thought out and appropriate to the historic character and setting of the properties. I want to replace one piece of exterior wood siding on my house because it is starting to rot. Do I need to contact DHR for approval? I need to upgrade the plumbing under my kitchen sink. Do I need to contact DHR for approval? If you plan to replace the portion of the wood that is rotted with new wood siding that matches in profile and dimension, this is considered “replacement in-kind” and no written DHR approval is necessary. If you are contemplating a different type of siding, you would need to consult your individual easement and contact DHR for approval. Plumbing changes typically do not require review and approval unless the change will impact other historic fabric or result in a visual impact on the interior or exterior (examples include the introduction of a new pipe outside of an existing cabinet space or a new pipe/duct penetration through an exterior wall). My Easement Deed contains a provision about archaeological sites and features. What type of ground disturbance will trigger archaeological survey? How much will it cost? If your property includes known archaeological sites, the survey requirement would be triggered by any ground-disturbing activity in the area containing the site(s). Otherwise, any project that involves significant ground disturbance may result in a request for archaeological investigation. Significant ground disturbance would include such activities as grading, digging for a cellar, footers, or foundation, excavating to install equipment such as a geothermal bed, or road construction. Generally speaking, agricultural planting and harvesting in areas that have been in agricultural use, as well as domestic gardening, is not considered significant ground disturbance. DHR will work with easement property owners to restrict requests for archaeological survey only to those absolutely necessary to protect the historic integrity of the property. Please be aware that all archaeological survey on an easement property must be performed by or under the supervision of an archaeologist who meets the Secretary of the Interior’s professional qualifications standards for archaeology. Costs for archaeological survey vary widely depending on the amount of work to be done. DHR cannot provide cost estimates, but can provide property owners with a list of professional archaeologists working in Virginia who meet the Secretary’s Standards. DHR recommends that any property owner considering archaeological survey obtain at least three independent quotes before contracting for any such work, and staff is willing to review proposals, quotes, and any other information and provide advice to the property owner. Will easement staff be required to inspect or visit my property? Regular monitoring and inspections are part of DHR’s stewardship responsibility as a qualified holder of historic easements. Prior to a request for a visit, you will receive advance notification, in most cases via U.S. Mail. The inspection itself is a visit intended to monitor and document the current condition of the easement property, specific to the individual easement provisions. This is done through visual observation and photographic documentation. Easement staff will compile this information into a brief written report for owner review. The report is added to the property file to assist DHR in future stewardship efforts. This visit is also a good opportunity to request technical assistance from easement staff. Easement staff is available for technical assistance to all property owners, no matter what the magnitude of the proposed scope of work.